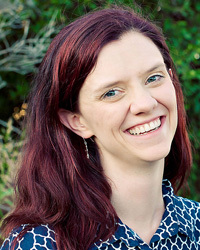 Creating a Hybrid Scrapbook Layout with Charissa Miller! Last year I was introduced to the idea of hybrid scrapbooking and as I played with it more and more, I found myself really enjoying it. I still do strictly paper layouts, but hybrid is becoming more and more of my go-to scrapbooking format. 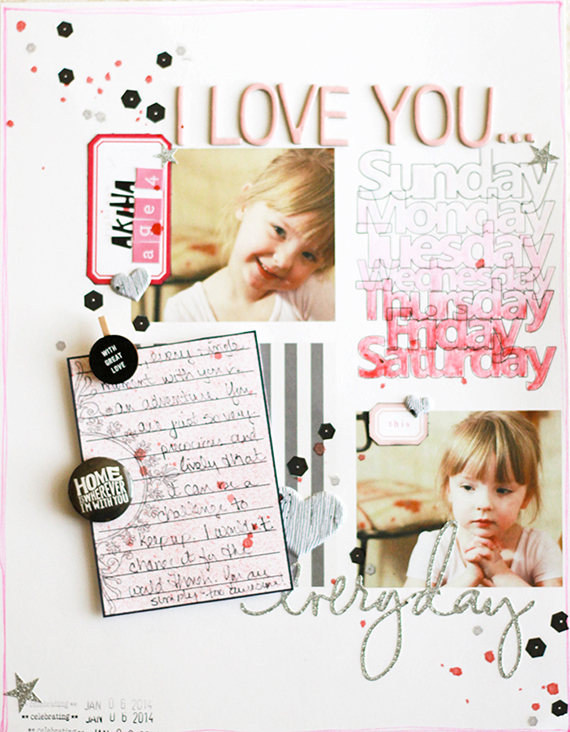 To build this layout, I started with the 8.5×11 layout template from ScrapSimple Digital Layout Templates: Basics. I added some striped paper to one square from the Old Hollywood Paper Mini. Photos went into two of the other areas and in the fourth, I used some digital brushes from Brush Set: Life Keeping Days to stamp each of the days of the week. With my digital base built, I printed out the layout onto some white cardstock. To create my journaling card, I printed some of the 3×4 cards from the brush set Brush Set: Pocket Life Whimsical and then cut them out with my paper trimmer. I lightly misted it with a pink spray ink and then adhered it with pop dots over top of the striped paper segment of the layout. 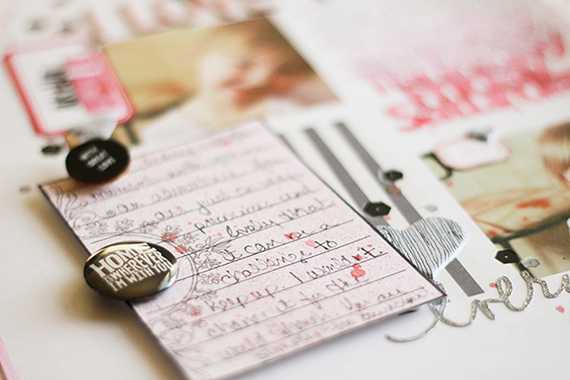 A mini-clothespin and a flair badge added the finishing touches to the card. I knew I wanted to do something mixed media with the day “stamps” so I decided to use my watercolor pencils to create a pink ombre effect on them. I just started with my darkest pink at the bottom then transitioned to lighter and lighter colors until I was only using the slightest bit of color on the word Sunday. A wash with some water (attempting to stay in the lines as best I could) blended the colors to give it the right look. To finish it off, I added a label next to the top picture, a few different alpha and word stickers, and some rubon sequins and more mists to complete the embellishing. My finishing touch was to add the date at the bottom left using a date stamp and adding the star to make sure the date pops out. 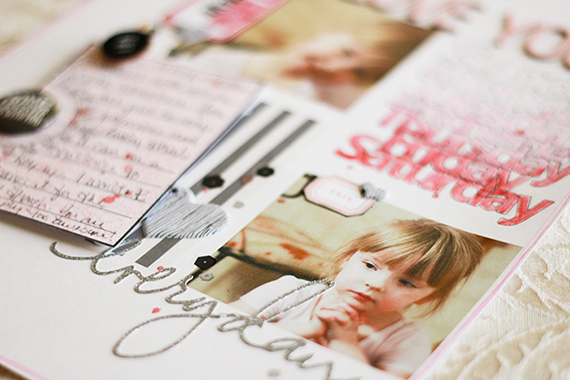 Hope you enjoyed this peek into how I do my hybrid scrapbooking. It is a fun way to stretch both my digital supplies and physical supplies.